The modern day world delivered many advances to the world population, along with a fair amount of stress. Of course, those modern conveniences are necessary for life today. However, coping with mounting everyday responsibilities leads to a large amount of stress for the average individual. Certainly, this is a critical situation and might lead to tossing and turning all night, and even sweating at night. All those pressures and daily obligations build up in the system at night and lead to even more personal or health-related problems. Here is more on the subject. Every day the average person is bombarded with all types of stress. For example, the-stay-at-home mom is bombarded with stress all day long. The kids are screaming because they want their lunch. The baby wants its bottle. She’s trying to maintain control over the household while trying to cook, clean, and maintain her own sanity. At work, her husband is under stress to finish a report and give a presentation to new clients. Therefore, he’ll need to work overtime. His stress doubles because he is thinking about the long commute home through evening traffic. Stress affects teens too. For example, a young teen is trying out for the football team, while trying to ace an important exam. These are all factors that add up to stress and are simply a part of daily life. Of course, some stress is considered good stress because it makes one more motivated. Other stress is simply bad for your health. Most people are aware that stress causes changes to the body and the mind. For example, stress affects the way a person thinks and feels. This might result in migraine headaches that take away the joy of living and make it difficult to cope. Other people react to stress in different ways. For example, they become restless, tired, irritable, angry, sad, depressed, or have difficulty sleeping. An individual’s response to stress might include a rise in the blood pressure, rapid heartbeat, or excessive sweating. Others resort to overeating to counter stress, while others simply lose their appetite. Stress is a problem that will not simply vanish overnight. It is a problem that requires intensive treatment. For example, some beat stress by working out at the new community gym or going for a run in the park. Certainly, different people find different ways of coping with stress. In order to reduce stress, it takes developing coping skills or a way to defeat stress triggers. For example, one cause of stress is work overload or taking on too many responsibilities. Certainly, most people know at least one person that fills their days with too many activities. This leads to a lot of stress. One way to reduce this type of stress overload is to just say “no” to a request that adds more responsibilities. It’s also a good idea to simply get away from all the stress for a few hours or even a few minutes daily. Go to a quiet room, close your eyes, and practice deep breathing to reduce the stress. A pleasant walk around a park is also a great stress reducer for many people while working out in the gym does wonders for others. These are all natural ways to reduce stress. Certainly, it is better than taking prescribed pills that might affect one’s health. Clearly, it helps to understand the root of the stress. For example, some stress is triggered by the environment. For example, working in a noisy office with a cranky boss. Receiving high energy or fuel bills after a long winter. Other stress is internal; for example, unappreciated at a job, in a relationship, or friendship. Understanding the stress should help to cope with stress better. Avoiding or improving stressful situations reduces environmental stress. Better self-talk helps to develop more confidence and reduce internal stress. 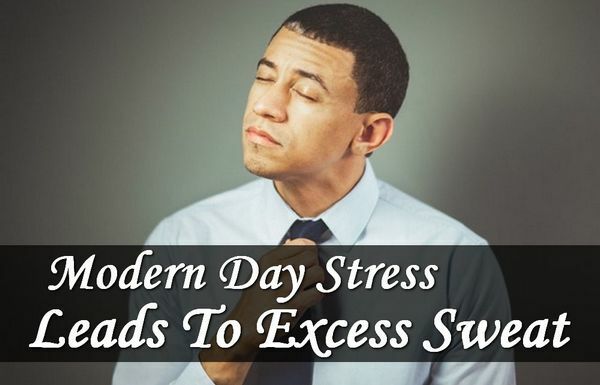 The fact is that modern day life leads to all kinds of stress on a daily basis. The information provided here should help you start to gain control over the stress factors in your life.